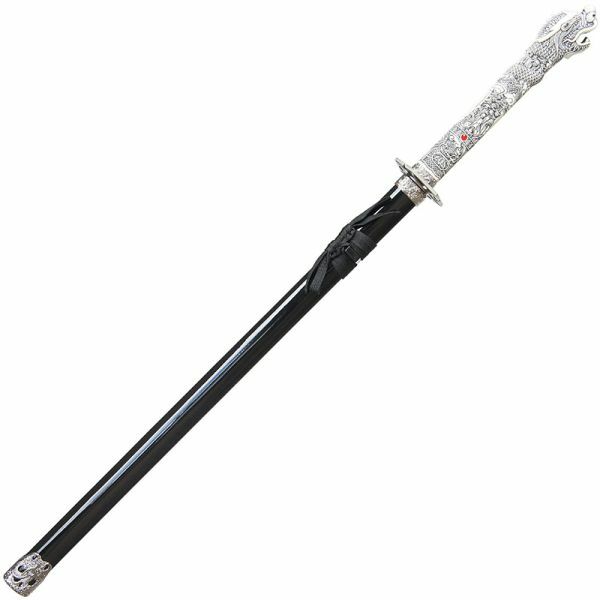 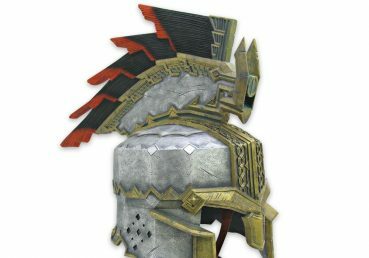 This ‘Highlander’ style sword’s main difference to the others available is its hexagonal, tsuba with spear like edging. 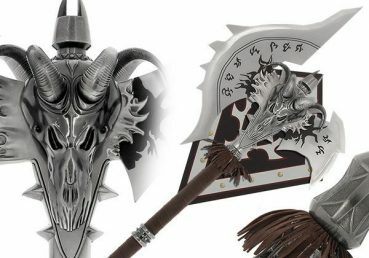 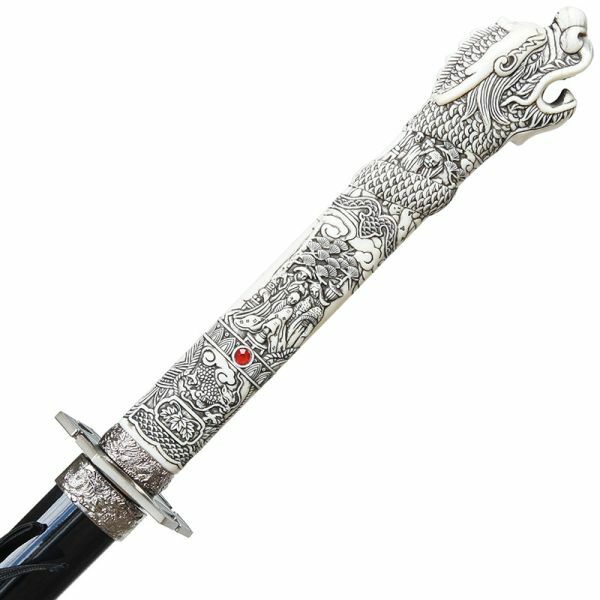 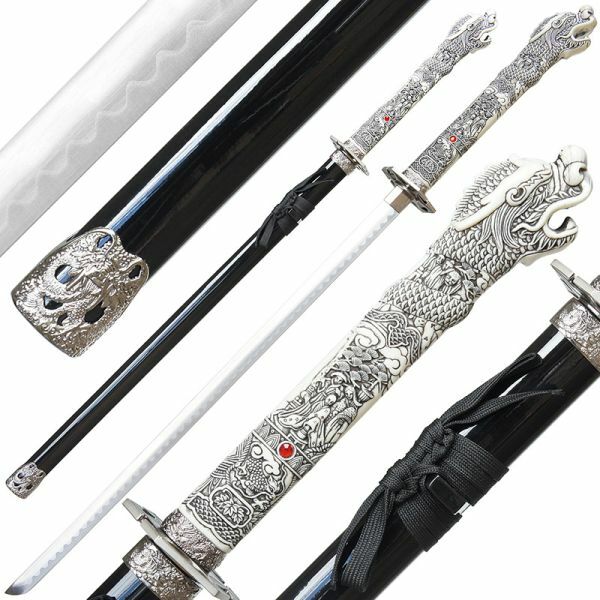 The silver colourings which match the metallic embellishments at the top and bottom of the scabbard make this sword a beautiful piece with the silver against black. 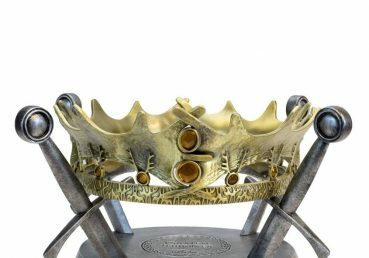 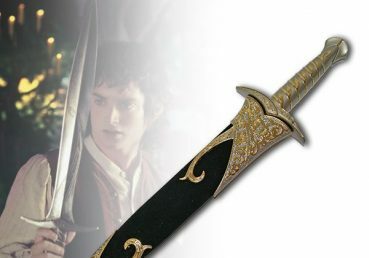 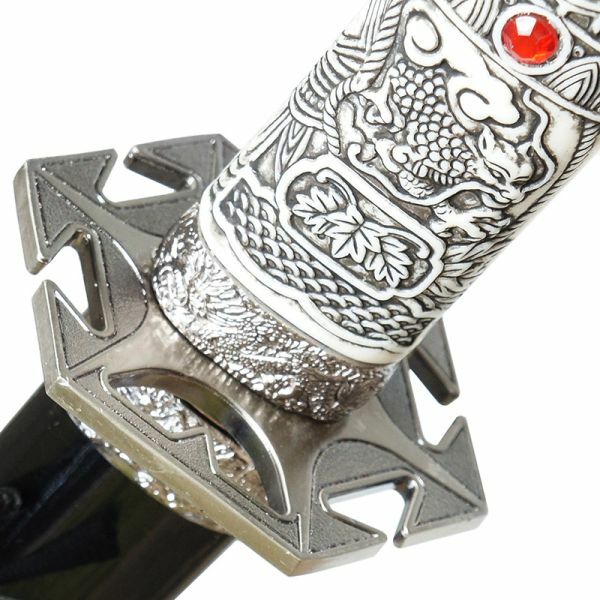 Just like the other ‘Highlander’ swords, the handle is highly detailed with a red jewel.